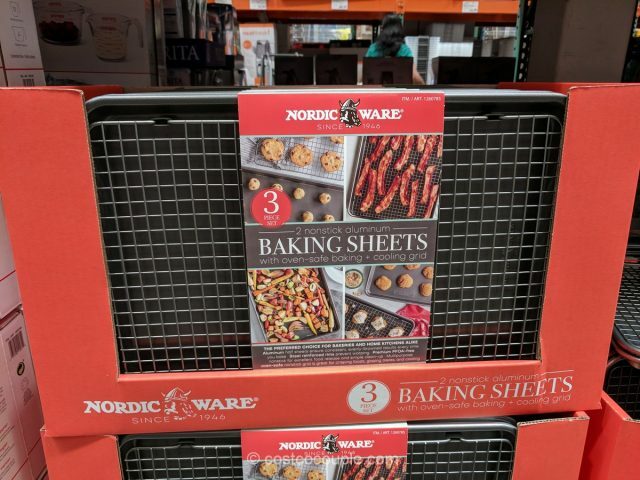 Get 3 essential baking pieces with the NordicWare Non-Stick Baking Sheet Set. 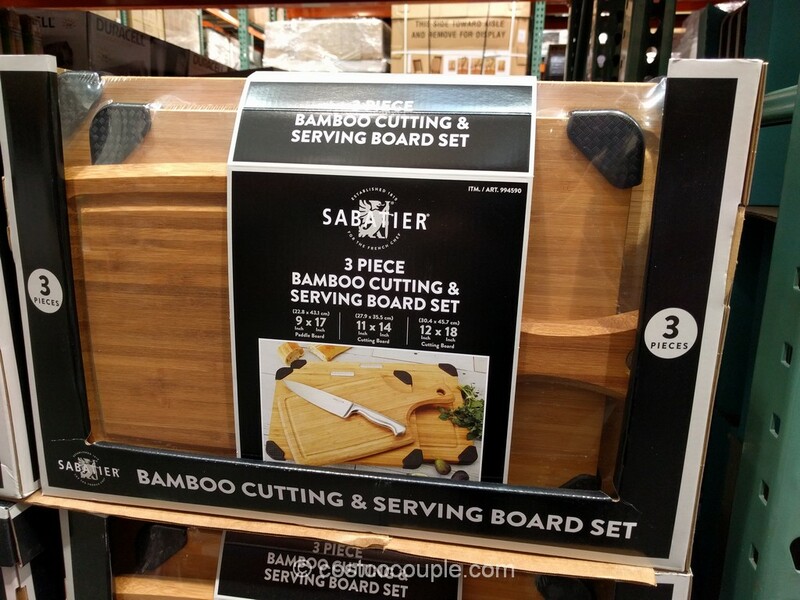 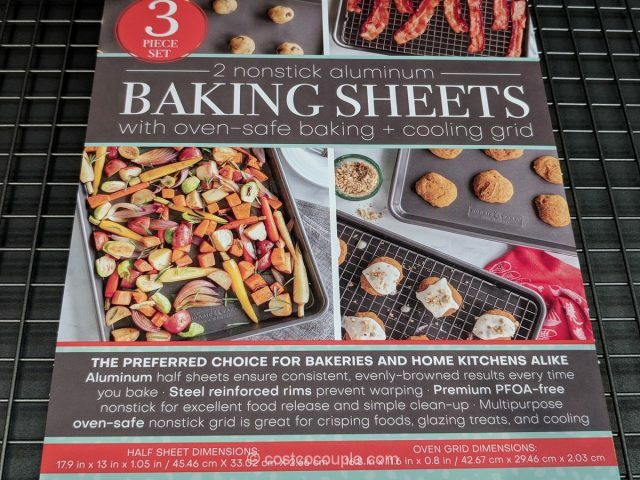 The set includes 2 aluminum non-stick half sheets measuing 17.9″ x 13″ x 1.05″ and an aluminum nonstick oven grid measuring 16.8″ x 11.6″ x 0.8″. 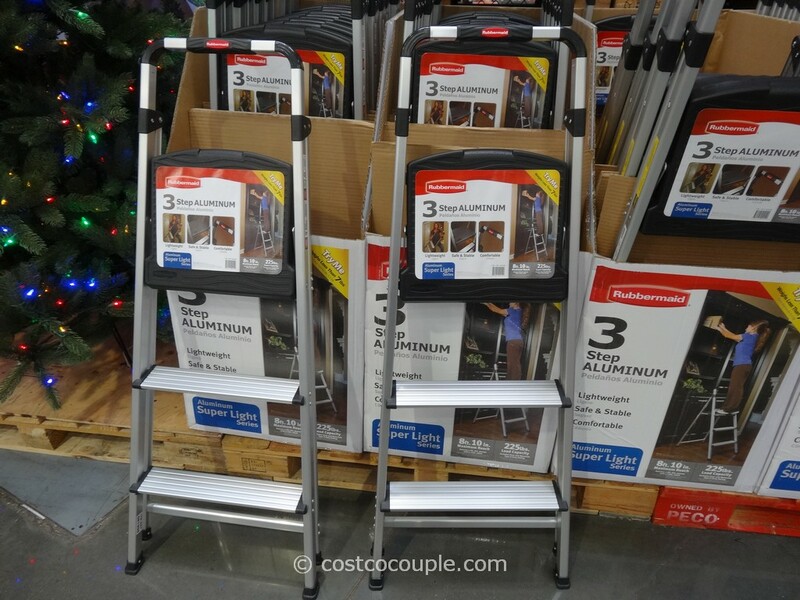 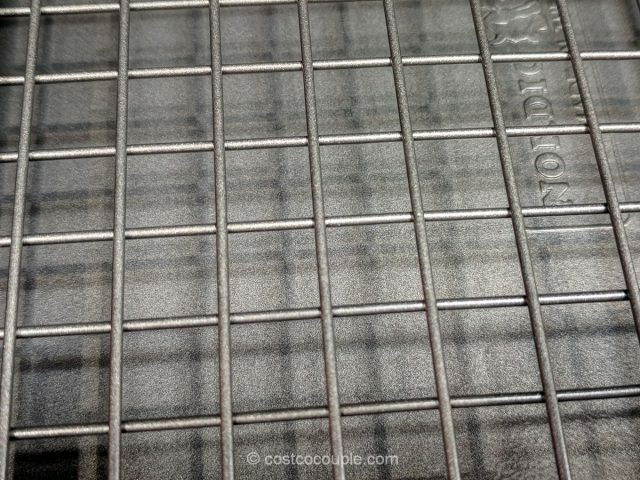 Steel reinforced rims help to prevent warping and the nonstick coating is PFOA-free. 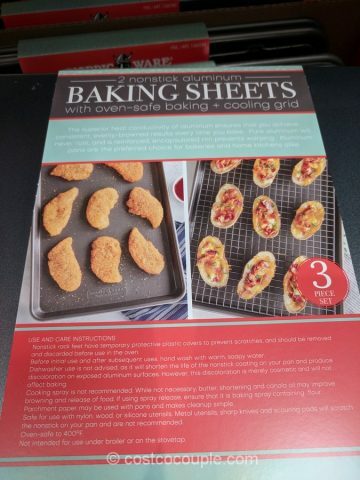 Cooking spray is not recommended. 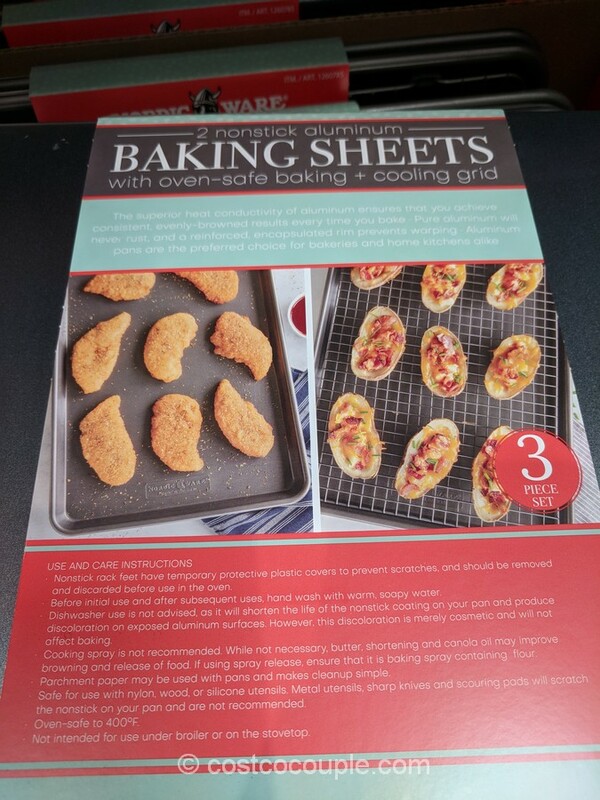 Oven safe to 400 F.
Not intended for use under broiler or on the stovetop. 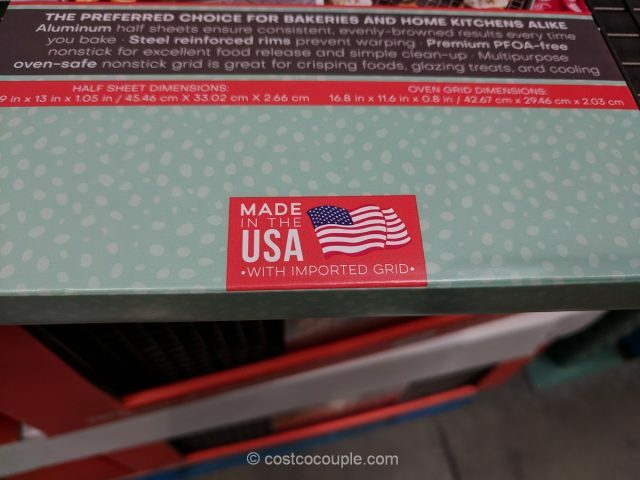 Made in USA with imported grid. 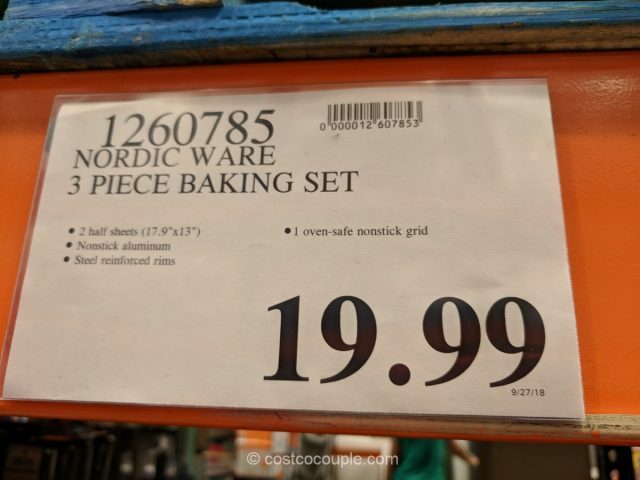 The NordicWare Non-Stick Baking Sheet Set is priced at $19.99.